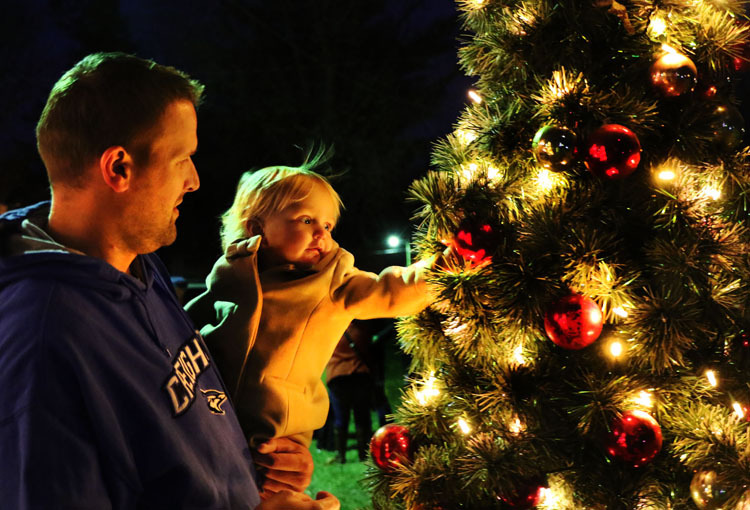 Joel Odvody and daughter Penelope in West Market Square in Fort Calhoun following tree lighting. 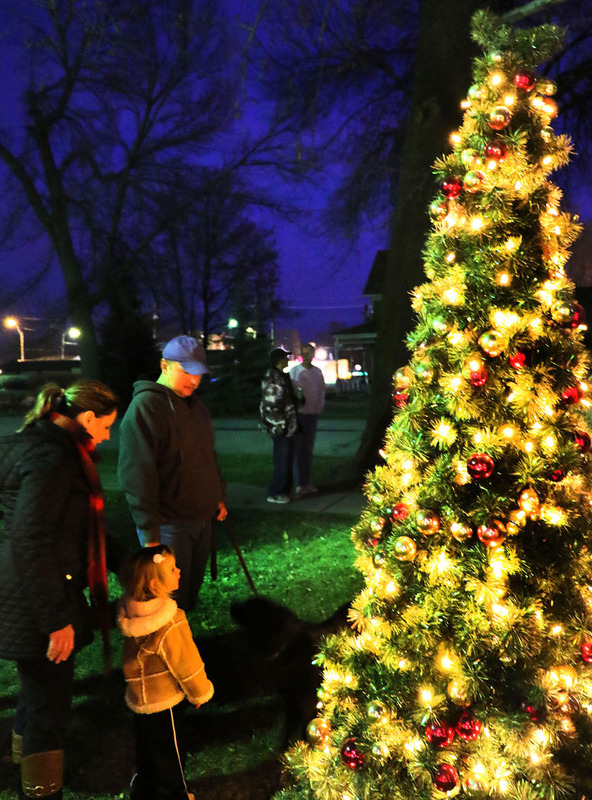 Over 100 visitors enjoyed the unseasonably warm weather as they wandered through West Market Square in Fort Calhoun on Saturday night to watch Mayor Mitch Robinson and the enhancement committee light the city Christmas trees. The city also held a drawing for 6 free Christmas trees donated by the city and Frosty’s Pines. 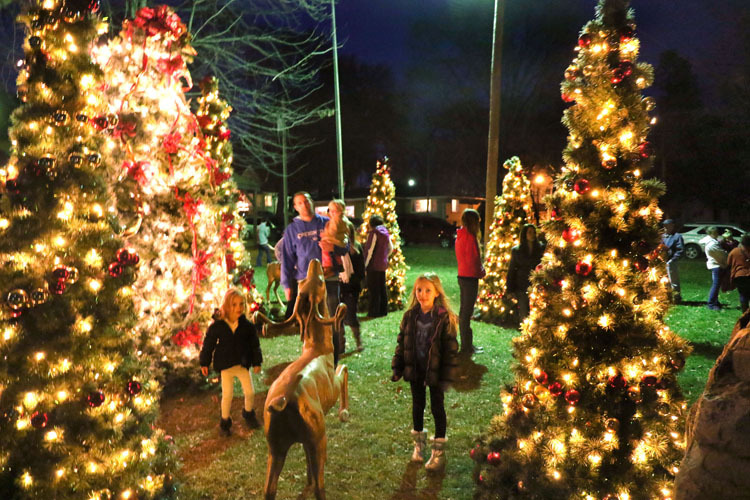 Tree winners were Grant Ruma, Peggy Elvers, Nancy Johnson, Mackenzie Troia, Ray Caruso and Kiley Pierce. Winners can pick out and cut their trees at Frosty’s Pines on highwsy 75 just south of Fort Calhoun. Odvodey family from left Scarlett, Joel holding Penelope, Elise and Becky wander through lighted Christmas trees in West Market Square in Fort Calhoun. Tricia and Brad Storey with daughter Leah following the tree lighting in West Market Square, Fort Calhoun.